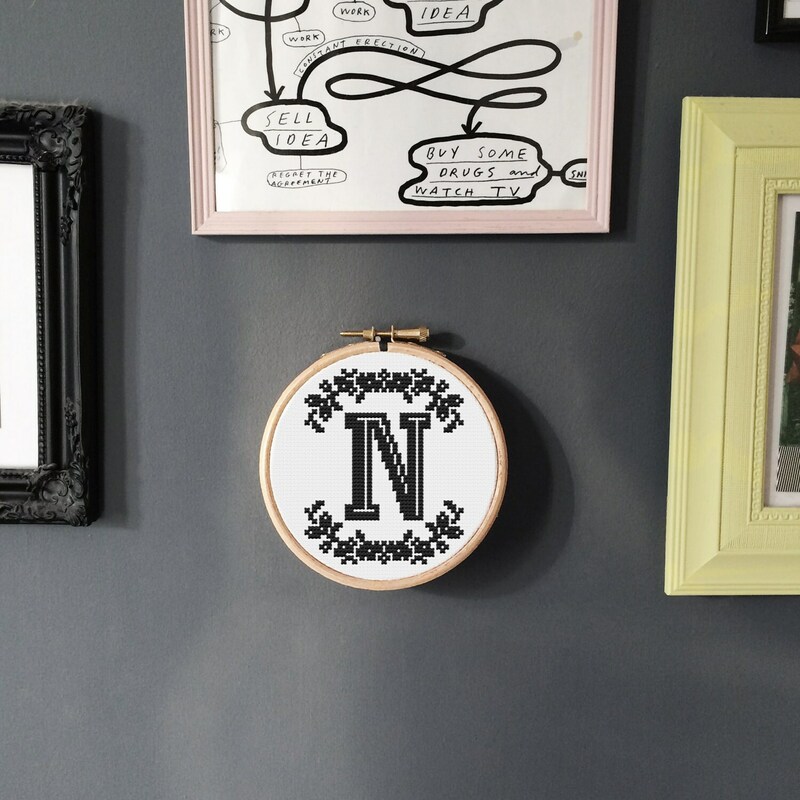 A cute and delicate custom letter pattern, designed to make any room look more elegant and modern. Bold and beautiful! 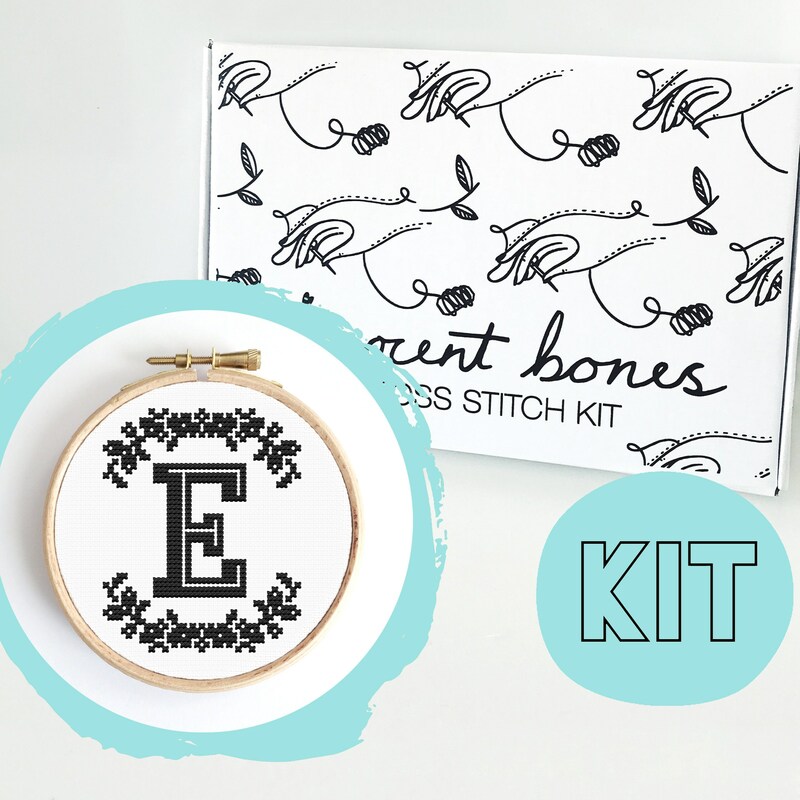 CUSTOM: This kit comes with the design chart for the main pattern and the letter you select! This comes in a really easy to carry around with you box so i can work on it any time i get a minute wherever i am. 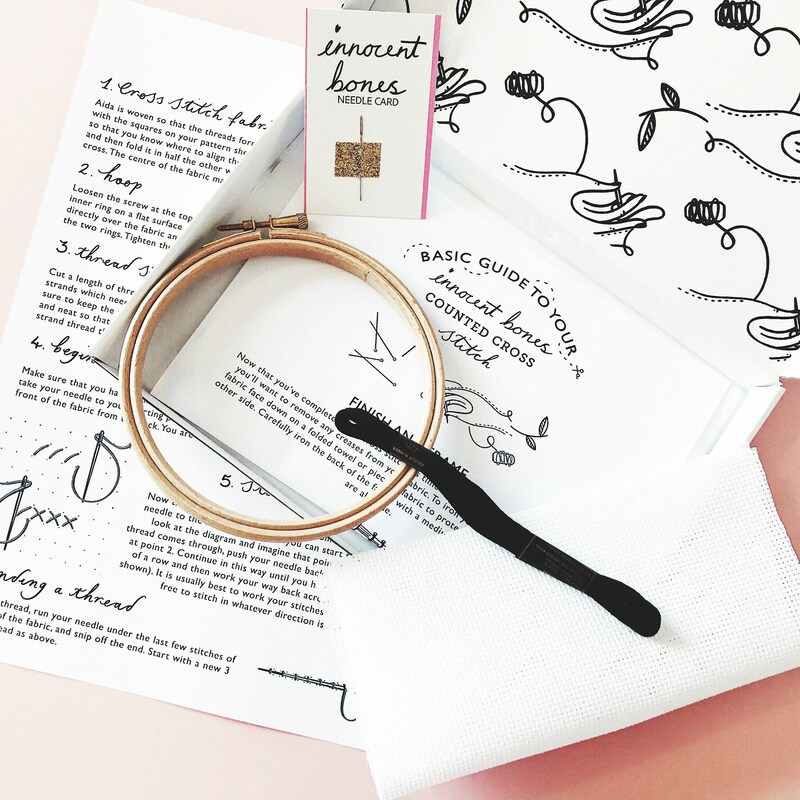 Only thing i'd ask for is slightly more detailed explanation on how to cross stitch because i'd never done it before, but a quick youtube and everything in the instructions made sense :) highly recommend.